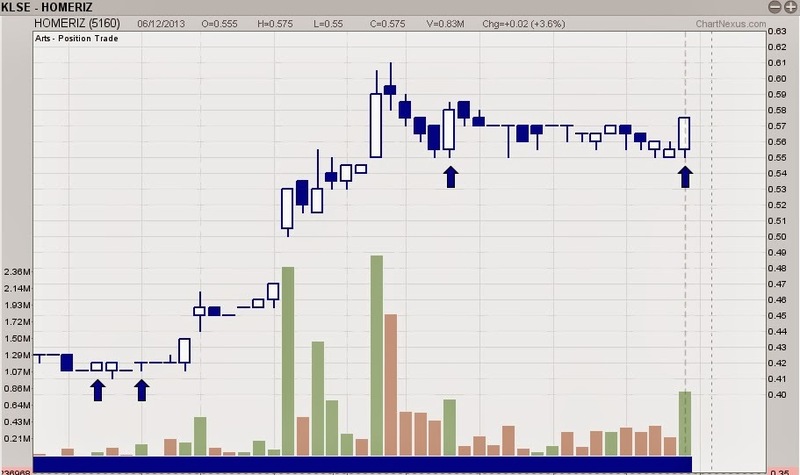 Daniel Loh: So many chances in KL stocks! Have you benefitted? So many chances in KL stocks! Have you benefitted? Although Singapore market has been generally poor these few months, KL market has been terrific, filled with great opportunities! We can spot the big players appearing here and there. They seem to jump from stocks to stocks. On 6th December, I was in KL to hold a seminar to for malaysia investors. 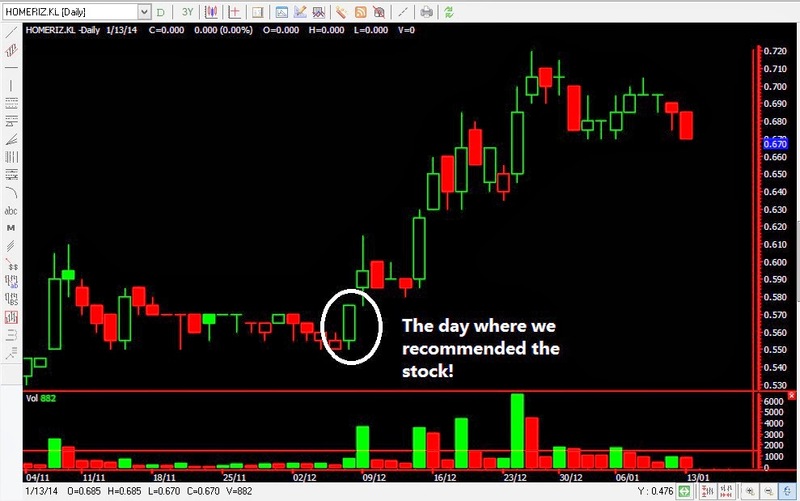 On that day, we recommended a stock that you might want to put in the watchlist. That stock is HOMERIZ. 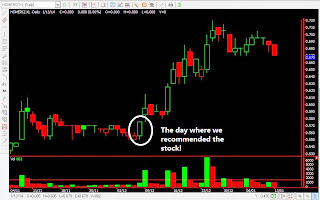 When we mention about the stock, the price was $0.575. We think it has potential to reach at least $0.67-$0.70. A few days back it reached this target price before falling a bit! Now it is $0.67. Can you see the ascending price after we mentioned the stock? There are so many stocks that has the potential just like HOMERIZ recently! We can't wait to share with you some of the stocks that we spotted! And by the way, I do think that this stock may be consolidating quite nicely. It may still have some legs to go. I am monitoring closely these few days. IF you are interested to know more about the KL market, we do have a class this week, Sunday at Cititel Mid Valley Hotel, Level 5, Room Matahari 3. Join us if you can! Hope you get a good Angbao for CNY! - How do you find the next GEM? 1) KL Stocks you may see this 1Q 2014? 3) What is the market direction for Asia and US market?